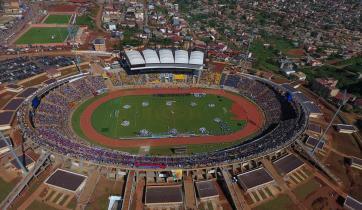 For this exceptional event, Alcor was contracted to build a complete tribune integrating technical facilities (changing rooms, press room, offices), VIP lounges and a press platform. 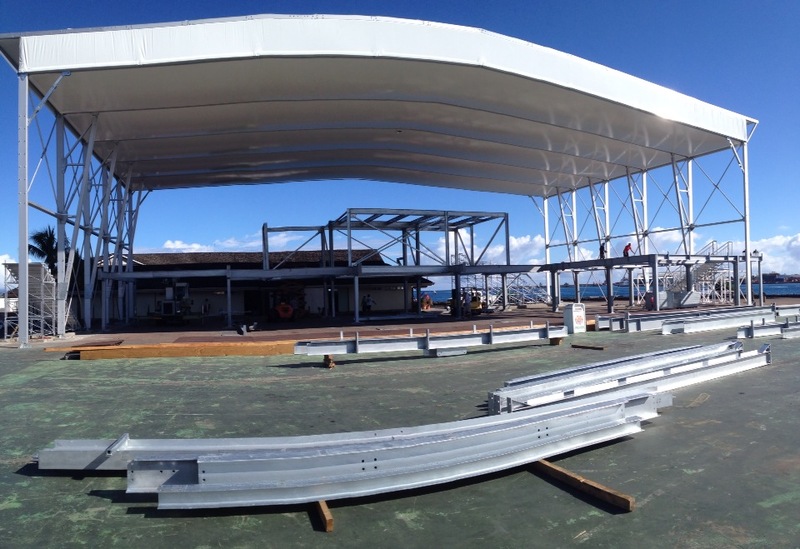 This covered grandstand was designed to withstand cyclones, the setup location being located a few meters from the ocean. 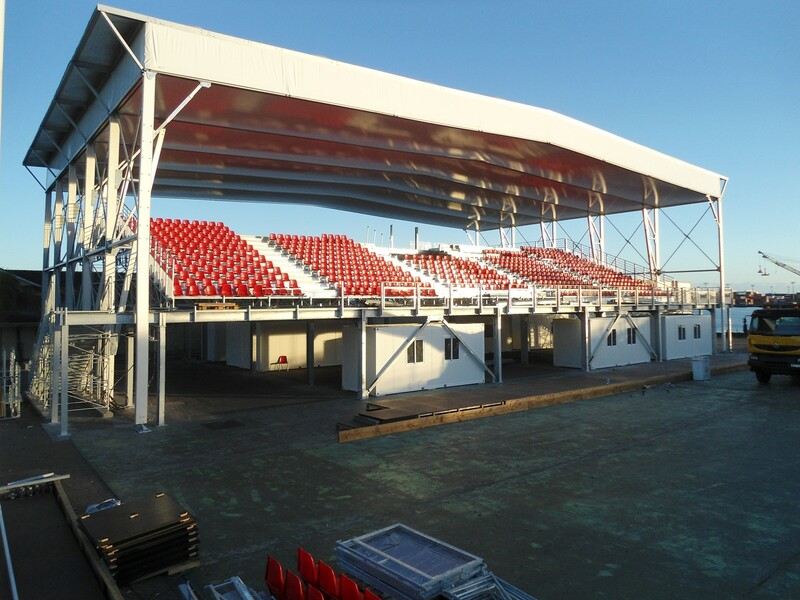 To achieve this complex construction of a modular grandstand, Alcor Équipements has sent a team of five technicians, assisted by a local workforce quality, the grandstand was built in six weeks. 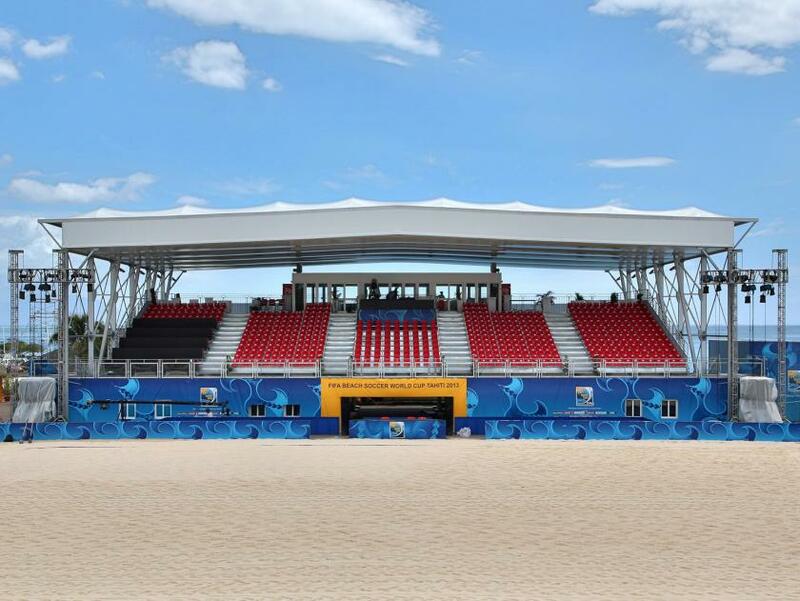 The organizers and FIFA were unanimous on the quality of the grandstand construction, calling it the best grandstand ever seen in such a competition. 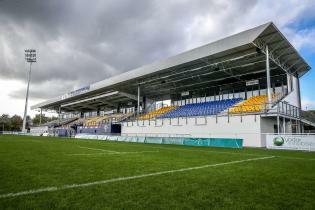 This modular tribune, which was built on specific foundations (near the sea, winds above 200 km/h), is now a major venue of the island.